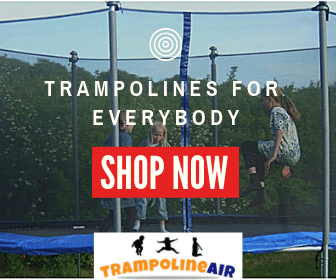 Springfree is the industry leader in trampoline safety. When making the initial designs for its products, the company saw the need to do better. 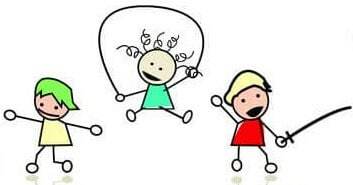 Even with the now standard safety enclosures, adults and youngsters alike can get injured while at play. 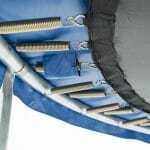 A Springfree trampoline tackles this problem with an innovative spring-free set up. Upon switching to fiberglass, the brand looked at the safety enclosure posts. They thought, “Maybe we can do that better too.” After this wave of inspiration, Springfree removed the enclosure’s steel posts and substituted flexible fiberglass. The company’s 8 foot by 13-foot oval model is an excellent example of this leap in technology. 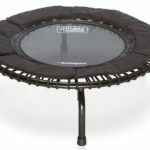 The safety enclosure has been a common feature for modern trampolines, but Springfree pulls out all the stops. The FlexiNet is UV resistant and is a ‘no-climb’ net. This means the weave is too fine to slip your fingers through. This design detail limits the likelihood of your digits catching accidently. Good news for adventurous jumpers. The designers improved the traditional steel frame with springy fiberglass rods. The FlexiNet attaches onto the rods’ interior. The fiberglass concaves to create a small space between the net and the posts. When jumpers fall into the enclosure, this space helps the net absorb impact. Even when children under the age of 14 run into the net, the enclosure absorbs enough impact to keep them safely away from the ground. However, on other models, the net is known to work poorly for adults. Most adults probably won’t run full speed into the net, though accidents happen. Adults have been known to hit the ground if they fall into the super flexible net. For older or heavier individuals, a steel framed enclosure may be a safer fit. Springfree loads you up with a SoftEdge mat. This specialty-jumping pad is 30 times more shock absorbent than standard pads. 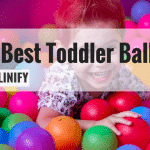 You’ll be able to bounce around for longer without aching knees or joints. Usually, this is the part of the trampoline has the shortest lifespan, but not this time! This superior mat will last you for many jumps to come. Another unique and safety-conscious detail is the oval trampoline’s hidden frame. The bendy composite rods are underneath the 92 square foot jumping area. You can’t hit the rods. Ever. 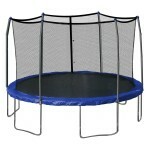 On this tramp, there is virtually nowhere to catch your fingers or toes. Some trampoline enthusiasts have mentioned jumping on this model requires more work. The mat isn’t very springy compared to other brands. The spring-free system is fairly new, so the fiberglass rods may provide a little less bounce. You may not be able to jump as high as you’re used to. Even in its shape, this design isn’t traditional. It’s labeled as an ‘oval,’ but it looks more like a rounded rectangle. Because it’s 8 feet by 13 feet, there is plenty of room for multiple people long ways and short ways. 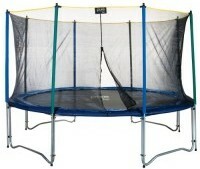 The trampoline has a maximum single jumper weight of 250 pounds. It’s strong enough for anyone! The oval shape gives you enough space to comfortably move around, but it can still squeeze into tight spaces. 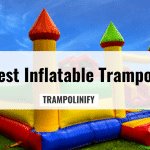 If you have a small backyard, you can put this trampoline into oblong areas with ease. Crowded city or suburb, you’ll be able to fit this trampoline into your backyard. It’s spacious and space efficient. 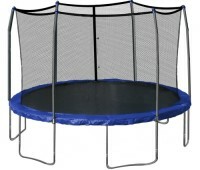 In you’re looking for extreme safety for your children, this Springfree oval trampoline is absolutely ideal. The spring-free design and no-climb FlexiNet is great for rambunctious kids and teens. If you are looking for adults, you might prefer something with a less flexible enclosure design. 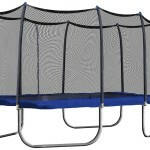 The steel frame and UV resistant net are built to withstand the demands of weather. 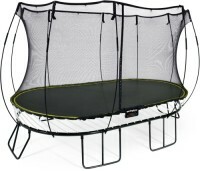 You may have to put more effort into jumping, but you’ll get plenty of life out of this Springfree trampoline. Its shape is perfect for city backyards. 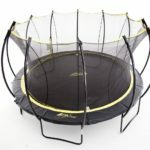 Overall, we’d highly recommend the Springfree 8-foot by 13-foot Oval Trampoline.